Finding the right home can be a difficult process but no matter what you are looking for as experienced Grand Forks, ND real estate agents we can provide you with the resources you need to make the home buying process simpler, from specific Grand Forks, ND neighborhood information, to tools to estimate your mortgage payments, and buyer resources and articles that will help you through the home buying process. Dahlstrom Motors Inc. is your Oslo Chevrolet dealer serving Grand Forks and Thief River Falls Chevrolet drivers. We have a large selection of new Chevrolet models and used cars in Oslo, MN. While looking at any of our Chevy cars, trucks and SUVs, feel free to get a quick quote. Grand Forks Chevrolet drivers, if you have any questions regarding your vehicle, please feel free to call our Oslo showroom, email us, or come by for a visit. Dahlstrom Motors Inc. is your premier Chevrolet dealer in Oslo. Grand Forks Chevrolet customers, visit our dealership in Oslo today! Argyle: Accepting soybeans, corn, and wheat. Alvarado: Accepting soybeans and wheat, call for barley. Northdale Oil is consistently the preferred choice of petroleum users across the tri-state region and beyond. We offer a complete slate of products from gasoline and diesel fuels to propane, lubricants and diesel exhaust fliud. Our transportation and bulk delivery trucks are among the most reliable in the area. We also operate select convenience stores in Minnesota and North Dakota. Whether supplying your gas station, farm, business or home, we pride ourselves on delivering the highest quality products and providing unmatched service to meet your needs. Our company was founded over 45 years ago on the core values of integrity, trust and reliability â€“ tried-and-true principles we continue to live by today. Building relationships is at the heart of our business and every day we strive to do what is best for you, our loyal customer. Count on the trusted petroleum source for the Upper Midwest. Count on the people at Northdale Oil. At Channel we know the importance of staying connected and getting our boots dirty all season long. As seed experts, we look to get the most out of your fields by putting ourselves in them throughout the season. Now you can put Seedsmanship to work with our new and enhanced website features. Since 1939, First Community Credit Union has grown to 28 branches in towns of all sizes. First Community has the largest membership of all credit unions in North Dakota and a field of membership that covers half of the state. Following our recent mergers with Citizens Community CU and Agassiz Federal CU, we now have three branches in Minnesota and serve 45,000 members. Ad Monkeys is a full service advertising agency with a solid client list and a wall full of awards. For more than 20 years, we at Ad Monkeys have skillfully blended our dry wit and high expectations to meet the unique challenges our clients face. The result is one great campaign after another, delivered on time and on budget, with success that is both real and measurable. Our staff consists of seasoned veterans and fresh-faced professionals who provide personal and demographic insight into today's ever changing digital marketplace. We deliver the full creative process from concept to implementation. Within our multiple areas of expertise, we've assisted clients, large and small, local and national in building their brand, promoting their business, and making good things happen. 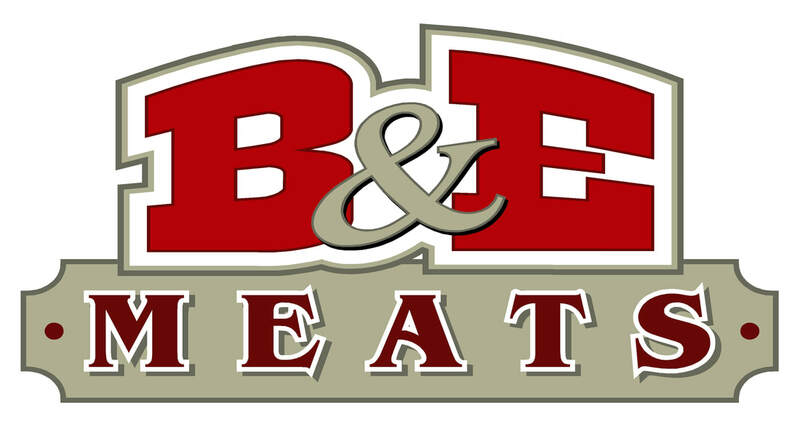 B and E Meats in Crookston, MN, is the ideal, one-stop shop for all your fresh and delicious meats and cheeses. Our small town, friendly, neighborhood butcher shop and deli has freezers full of meats, and our shelves are stocked full of sauces, rubs, and spices. We also offer 10 different flavors of thick cut bacon and wild game processing. Our deli is open all day and offers a variety of sandwich choices with the option of three different kinds of bread. There are no additives or preservatives in our deli meat, which makes it a healthy choice for you and your loved ones. Fill your freezer with our expertly butchered wild game offerings, including seasoned beef patties, bulk sausage, ground jerky, meatball mix, and so much more. We only provide the highest quality, locally sourced meat, so you know exactly what you are eating and where it came from. Welcome to Big Jim's East Side Tire, your one-stop, on-the-spot auto service headquarters for a complete line of quality tires and auto services. For years, we have provided the Grand Forks and Minto areas with the latest products and unprecedented services for everything we sell. And for years, our customers have been coming back. View our online catalogs for the tires you need or stop in and see us. Take a look around. If you don't find what you need, visit us in Grand Forks and Minto. From the latest and best in tire technology to the services required to keep your vehicle looking good and running great, Big Jim's East Side Tire can get you out on the road quickly and affordably. Stop by soon and see why so many people consider Big Jim's East Side Tire to be the one-stop shop for all their tire needs. At Big Jim's East Side Tire, our friendly and knowledgeable staff, quick and dependable service professionals, and affordable prices all come together to make driving out on a new set of tires easy. On top of that, we never "tire" of tires! Stop by and see us, and you'll be glad you did. ​**Special Thanks Don & Darlyne Votava!! Dynamic Welding and Machine offers fabrication and repair services for a variety of materials including carbon steel, stainless steel, copper, aluminum, brass and more. We are committed to the craft of welding and also providing our customers with honesty, integrity and quality services on every project. We're able to meet the high demand and scheduling needs of customers throughout the region for all types of full-service welding and fabrication as well as on-site mobile welding and contract work for oil-field set-up sites or other commercial and residential jobs. From industrial contract welding to custom fabrication...Dynamic Welding and Machine has you covered! ​Please take time to browse the pages of this website to find out more about the business or call 701-740-2987 to request an estimate. Snow removal: Commercial and residential snow removal No job to big or small we have a payloader, skid steer, boss v plows, cab snow blowers. Tree and shrub trimming: We provide tree and shrub trimming and we haul all materials away. Landscaping: Commercial/ Residential Landscaping Paving stone sidewalks and patios Install block, cap or rubber edging Plant various kinds of plants/ trees to the customers needs. Dirt work, hydro seeding, sodding. Northern Valley Fertilizer has been providing the growers of the Red River Valley quality liquid fertilizer for over 29 years. NVF provides fertilizer from starters to foliage feed applications. We pride ourselves on distributing a consistent product and giving excellent customer service. Since 1989, Phil Thompson and Associates has specialized in providing crop and farm insurance to agricultural operations throughout Warren, MN, as well as a bevy of critical financial services, including bookkeeping, tax planning and preparation, and payroll. We take pride in offering affordable, high quality service with an emphasis on maintaining strong relationships with our customers. Looking for creative marketing solutions? Then look no further! We offer the highest quality custom designed marketing materials for your business venture. Kick off your ad campaign, improve your public image, or enhance your corporate visibility with advertising products from Custom Stripes. You'll get creative consultation! Our experts willcollaborate with you to help you develop a marketing strategy that will work. You'll draw the attention and admiration of new customers with a well developed ad campaign. New clients means new business, so your company can start to thrive! You'll get custom design work! Whether you are looking to develop unique lettering for your slogan, or need a logo for your business that is impactful and interesting, our professional creative designers can help you create the impression that is right for your image. You'll get stunning graphic materials! From vehicle wraps to banners to decals, you'll have all the custom made marketing products you need to establish a significant presence in your community. You'll turn heads with beautifully designed signage made with quality materials from Custom Stripes! Energy Release® products are currently used by racing teams in such leagues as the World of Outlaws, Indy Racing League (IRL), National Hot Rod Association (NHRA), NASCAR and Monster Truck as well as motorcycle, dirt bike and snowmobile venues. Energy Release® is superb by itself as an anti-friction additive. And, it mixes exceptionally well with lubricants such as oils, greases, hydraulic fluids, gear lubes, machining and cutting fluids. The Energy Release® product line consists of an anti-friction metal conditioner, grease products, fuel conditioners and maintenance chemicals. Energy Release® also offers items for metalworking, lawn and recreational equipment. Established over 50 years ago, the SkyVu Drive-In movie theater in Warren, Minnesota MN continues to entertain people today. Since the 1970s, Leonard Novak has enjoyed owning this thriving entertainment business. Leonard and many others close to him, remain dedicated to keeping this historic complex running no matter how many obstacles appear in their path. The Sky View Drive-In has withstood several challenges from such competitors as in door theaters, BlockBuster and Netflix yet still this classic outdoor movie venue succeeds. Located in the heart of the Red River Valley and within minutes of Grand Forks, North Dakota ND, Crookston, MN and Thief River Falls, Minnesota, the Sky Vu or Sky View Drive-In provides easy access for any customer who wishes to revive the good old days of family, friends, outdoors and movies. Nothing much has changed at the SkyVu since the 1950s except that the movies have more special effects and the sound comes over your car's FM stereo. Other than that, it is what you see is what you get and we are confident it will be worth the cost of fuel.